Harry Wilson continued his sparkling run of form for Hull City on Saturday with two stunning strikes in a dramatic 5-5 draw with Bristol City. 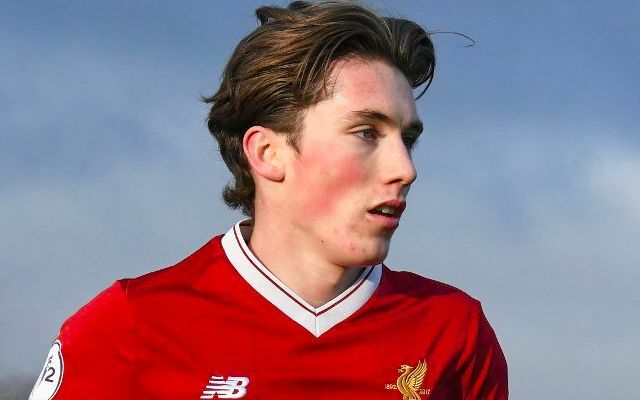 The Liverpool loanee has flourished in England’s second tier since leaving on loan in search of regular first team football in January. His swift impact has crucially helped propel Hull towards safety having seen their Championship status under serious threat upon his arrival. Wilson opened the scoring on 16 minutes at Ashton Gate with a crisp curling finish into the far corner from just outside of the penalty area. His second arrived in the 72nd minute when the winger caught out goalkeeper Frank Fielding with a stunning free-kick. Wilson has now mustered seven goals and four assists in 11 appearances for Hull to deliver a stern statement of intent ahead of his summer return to Anfield. The 21-year-old is in strong contention to play a prominent role with the senior team during pre-season, having missed out on the chance to do so last year. His current spell arguably marks the most encouraging of his career yet, serving as a promising step up from his dominant season with Neil Critchley’s U23s. Though another temporary move elsewhere may well aid his development further, keeping him over 2018/2019 would certainly hand Jurgen Klopp a useful squad option.